You are welcome to the first in Poland Transition Manager Academy and the first project management course based on Project Management Institute® Talent Triangle. Requirements: at least 1st degree studies completed and fluency in English. The aim of this programme is to prepare current and prospective project and programme managers for the management and coordination of transition projects and programmes. The delegates will gain core skills and competencies for managing global projects with a focus on organisational/service transition. Apart from general project management modules the programme covers other key skills and competences such as organisational transition, leadership, virtual and multicultural team management, facilitation, coaching and mentoring, creative problem solving and visual thinking. Based on Project Management Institute® Talent Triangle which represents the skillset that organisations have deemed as critical for project practitioners the Transition Management Academy meets the expectations of today’s complex business environment. Today to succeed just having the technical domain skills is not enough. To truly succeed we need technical project management skills, leadership capabilities and strategic and business management proficiency. 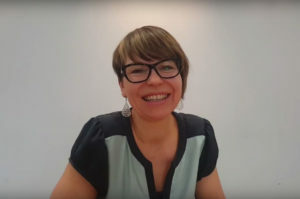 Academy Manager: Małgorzata Kusyk – Project management expert, certified Project Manager PMP® PRINCE2P®, mentor, trainer and speaker worldwide, PMI Poland Chapter President. This announcement is for information purposes only and does not constitute an offer within the meaning under Art. 66 Paragraph 1 of the the Civil Code. Who may participate in the studies? Graduates of bachelor, engineering and masters studies are eligible for the studies. The recruitment process follows the first served basis.